Brooklyn Nine-Nine will be back. Today, FOX announced they’ve renewed the series for a fourth season. The cop comedy is currently in the middle of its third season. It stars Andy Samberg, Andre Braugher, Terry Crews, Melissa Fumero, Joe Lo Truglio, Stephanie Beatriz, and Chelsea Peretti. So far, the second season has declined in ratings compared to season two. 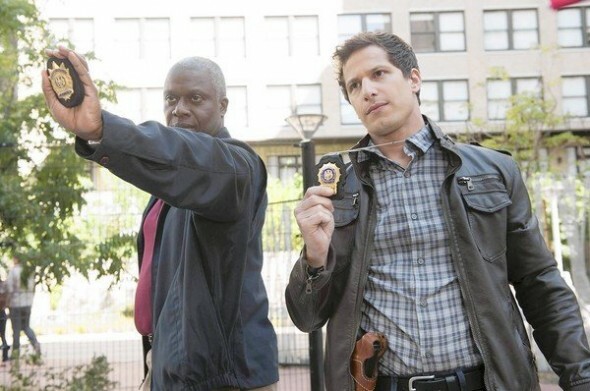 Currently, Brooklyn Nine-Nine only receives an average of about 2.84 million viewers per episode. Last season averaged around 3.54 million. FOX has also renewed The Last Man on Earth for another season. THE LAST MAN ON EARTH is produced by 20th Century Fox Television. The series is created by Will Forte. The series is executive-produced by Forte, Phil Lord, Chris Miller, Seth Cohen and Andy Bobrow. The series stars Will Forte, Kristen Schaal, January Jones, Mel Rodriguez, Mary Steenburgen and Cleopatra Coleman. “Like” THE LAST MAN ON EARTH on Facebook at facebook.com/TheLastManOnEarthFOX. Follow the series on Twitter @LastManFOX and join the discussion using #LastManOnEarth. See photos and videos on Instagram @lastmanfox. What do you think? Are you a fan of Brooklyn Nine-Nine? What do you hope happens in season four?